HARTFORD, CT — Absent federal action on guns, the governors of New Jersey, New York, Connecticut, and Rhode Island said they’re going to improve their data sharing in order to limit the number of firearms getting into the wrong hands. “We can’t wait for the federal government to act,” Connecticut Gov. Dannel P. Malloy said Thursday during a conference call with reporters. Hartford is among five cities in Connecticut to win a competition for grants of $450,000 that will fund programs focused on increasing opportunities for low- and moderate-income residents. decorated for their service in World War II. The theme for Black History Month in 2018 was “African Americans in Times of War” honoring those brave men and women who served their countries in the armed forces, especially those who made the ultimate sacrifice while defending the American ideals of freedom and democracy. During World War II, for example, more than 2.5 million black men registered for the draft and one million served as draftees or volunteers in every branch of the armed forces. A decade before the first glimmers of the Amercan civil rights movement, most black men were assigned to segregated combat groups. Even so, more than 12,000 black men who served in the segregated 92nd Division received citations or were decorated for “extraordinary heroism” on the battlefield. Perhaps more famously, the Tuskegee Airmen also became legendary for their heroic feats, and in total received a Distinguished Unit Citation, several silver stars, 150 distinguished flying crosses, fourteen bronze stars, and 744 air medals. At war’s end, recognition of the African-American contribution to the war effort would eventually lay the groundwork for the civil rights protests of the 1950s and 1960s. Read more here. “But the stereotype that African Americans are excessively fond of watermelon emerged for a specific historical reason and served a specific political purpose. The trope came into full force when slaves won their emancipation during the Civil War. Free black people grew, ate, and sold watermelons, and in doing so made the fruit a symbol of their freedom. Southern whites, threatened by blacks’ newfound freedom, responded by making the fruit a symbol of black people’s perceived uncleanliness, laziness, childishness, and unwanted public presence. This racist trope then exploded in American popular culture, becoming so pervasive that its historical origin became obscure. Few Americans in 1900 would’ve guessed the stereotype was less than half a century old. ” Read the entire article here. 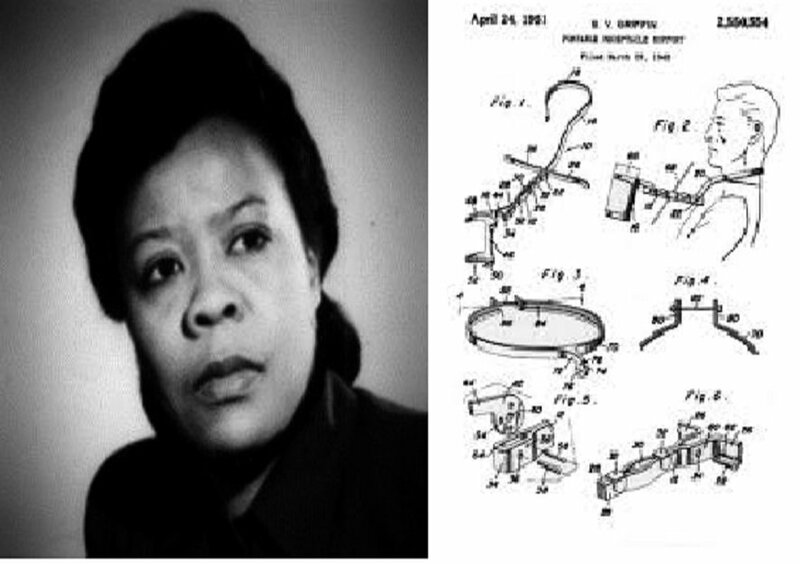 Meet Bessie Blount Griffin, a physical therapist, inventor, and forensic scientist who invented an electronic feeding device in 1951 to help amputees feed themselves. She also invented the cardboard disposable emesis basis. A physical therapist working with wounded soldiers during World War II, Griffin realized that soldiers struggled with feeding themselves. She programmed a tube to deliver one bite of a meal at a time to a disabled patient. Whenever he or she was prepared for the next bite, the patient would bite down on the tube. She later simplified her invention so that it could be fit in a brace around a person’s neck, and accomplish the same function. Skeptical, the American Veterans Administration did not accept Griffin’s invention. She sold the patent and rights to the French government, who supported the large-scale production of her invention so that it could reach those in need. Read the entire article here. The program has been carried out primarily by women in the villages of Kenya, who through protecting their environment and through the paid employment for planting the trees are able to better care for their children and their children’s future. Born in 1940 in Nyeri, Wangari Maathai was able to pursue higher education, a rarity for girls in rural areas of Kenya. Studying in the United States, she earned her biology degree from Mount St. Scholastica College in Kansas and a master’s degree at the University of Pittsburgh. Read her entire story here. 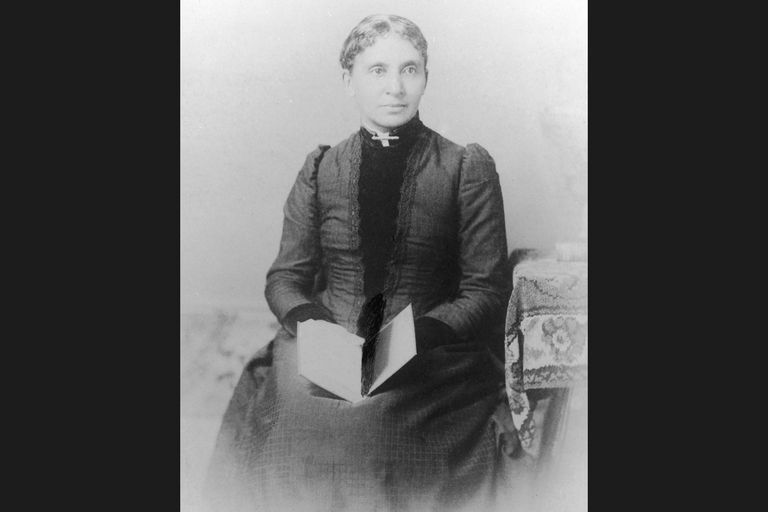 Charlotte Forten was born into a prominent African American family in Philadelphia. 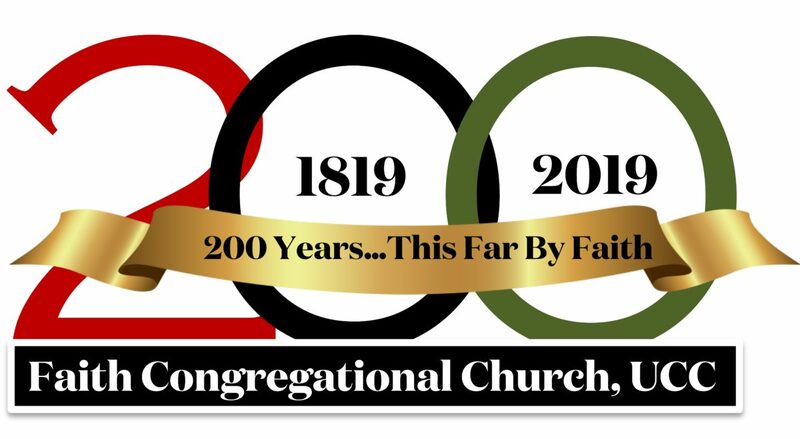 Her father, Robert, was the son of James Forten (1766-1842), was a businessman and antislavery activist who was a leader in Philadelphia’s free black community, and his wife, also named Charlotte, identified in census records as “mulatto.” The elder Charlotte, along with her three daughters Margaretta, Harriet and Sarah, were founding members of the Philadelphia Female Anti-Slavery Society along with Sarah Mapps Douglass and 13 other women; Lucretia Mott and Angelina Grimké were later members of the biracial organization as was Mary Wood Forten, Robert Forten’s wife and mother of the younger Charlotte Forten. August 17, 1837 (or 1838) – July 23, 1914 Read the entire article here. One day after President Donald Trump invited Republican lawmakers to the White House to celebrate the historic tax cuts they passed for corporations and wealthy business leaders, his attorney general, Jeff Sessions, quietly reinstated a draconian policy that effectively serves as a regressive tax on America’s poorest people. The Supreme Court has affirmed the unconstitutionality of jailing those too poor to pay debts on three different occasions in the last century, finding that the 14th Amendment prohibits incarceration for non-payment of exorbitant court-imposed fines or fees without an assessment of a person’s ability to pay and alternatives for those who cannot. “Punishing a person for his poverty” is illegal, the Court said. Yet in recent years the modern-day equivalent of debtors’ prisons have returned, as cities have grown to rely on a punishing regime of fines and fees imposed on their own residents as a major stream of revenue. Read more here and here and here. IT HAS BEEN ALMOST A YEAR since Barry Jenkins’s “Moonlight” won the Oscar for best picture. This awards season, Jordan Peele’s “Get Out” and Dee Rees’s “Mudbound” have received multiple nominations and accolades, optimistic signs that black filmmakers are receiving more opportunities in the movie industry. Soon these titles will be joined by two of the most anticipated releases of the year: Ryan Coogler’s “Black Panther,” the first Marvel superhero movie from a black director, and Ava DuVernay’s “A Wrinkle in Time,” the first movie with a $100 million budget directed by a black woman. BTW: Passing Marvel stablemate Guardians Of The Galaxy on Thursday globally, Black Panther has lifted its worldwide cumulative audience to $780.3M. The breakdown through March 1 is $435.4M domestic and $344.9M at the international box office. Have you had your flu shot this year? The best time to get a flu shot is NOW, because flu season runs from mostly October through May, and it takes a couple of weeks after getting the shot for it to become effective. Influenza is a serious disease that can lead to hospitalization and sometimes even death. Every flu season is different, and influenza infection can affect people differently, but millions of people get the flu every year, hundreds of thousands of people are hospitalized and thousands or tens of thousands of people die from flu-related causes every year. Even healthy people can get very sick from the flu and spread it to others. The CDC estimates that flu-related hospitalizations since 2010 ranged from 140,000 to 710,000, while flu-related deaths are estimated to have ranged from 12,000 to 56,000. During flu season, flu viruses circulate at higher levels in the U.S. population. (“Flu season” in the United States can begin as early as October and last as late as May.) An annual seasonal flu vaccine is the best way to reduce your risk of getting sick with seasonal flu and spreading it to others. When more people get vaccinated against the flu, less flu can spread through that community. Go HERE to see if you should (or shouldn’t) get a flu shot. Read more here. There are available alternatives to standing in lines such as good hygiene or antiviral medications. If that’s not enough for you, consider an antiviral medicine. Most people are unaware of three antiviral medicines peramivir (Rapivab), oseltamivir(Tamiflu), and zanamivir (Relenza) available from your doctor, which can cut the severity of flu and shorten the duration of symptoms. But these only work if you start them within two days of contracting the flu virus. There is a “needle-less” option for people 18-64 years old: the jet injector vaccine with Afluria, which uses a tool with high pressure to deliver the vaccine.